The shifts are announced ahead of its Womens Symposium and investment advisor confab. 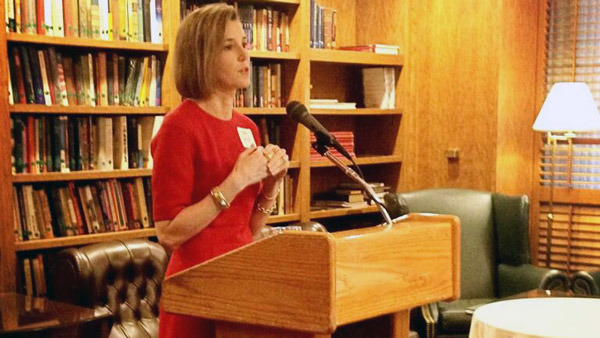 Sallie Krawcheck will speak at the Raymond James Women's Symposium. Raymond James (RJF) says it has restructured its employee-channel operations and made several appointments. The company made the announcement Monday, the opening day of the Raymond James Investment Advisors Wealth Management Conference and two days ahead of its Women’s Symposium, which features former-Merrill Lynch and Smith Barney executive Sallie Krawcheck as a keynote speaker; both events take place in St. Petersburg, Fla., where Raymond James is based. The head of the Raymond James & Associates’ Great Lakes region, Bill Roney, will retire in December and will be replaced by Dominic Prioli. In addition, the Great Lakes region is set to become part of the Midwestern division, which is led by John Kuklenski. Oregon and Washington will become part of the Western division, which includes 11 states and is led by Patrick Allison, along with Regional Director Tommy Orr; the firm expects to tap a regional director in California over the next few months. Raymond James’ 20th annual conference for female advisors includes employee and independent reps. The three-day event will feature Krawcheck’s talk on Friday, as well as an appearance by Raymond James CEO Paul Reilly. Krawcheck is currently chairwoman of Ellevate Network and Pax Ellevate in New York. She acquired the women’s organization 85 Broads in 2013; the group recently changed its name to Ellevate and issued an index fund in cooperation with Pax World Management that will invest in companies with a sizable number of female officers and directors. Elwyn, along with Scott Curtis, who leads the independent channel, and Raymond James COO Dennis Zank, will speak with the female advisors on Thursday morning. Bella Allaire, who is in charge of technology and operations for Raymond James & Associates, will share her thoughts on the firm’s latest IT improvements on Wednesday afternoon. Other speakers will be Judith McGee of McGee Wealth Management and Susan Bradley of the Sudden Money Institute. There also will be several seminars highlighting the work of top-producing advisors during the event. “The [Raymond James’ Network for Women Advisors] and this event are proof that a small group of committed individuals can make an impact – we have close to twice the number of practicing female financial advisors than the industry average and several female advisors who regularly rank among the top professionals in the industry,” Reilly said earlier this year in a press release.